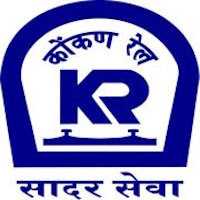 Online Application Details for Konkan Railway Corporation Limited KRCL Recruitment of 3 Deputy Chief Engineer is given below. Application form and duly attested documents are to be sent to office at Belapur Bhavan, Plot No. 6, Sec-11, CBD Belapur, Navi Mumbai--400614. In envelope super scribed with 'Application for the Post of Post Name'.